A band which is often regarded as too cerebral for its own good, XTC has no equal. One of the many groups that rose to prominence (at least in critical terms) during the punk heyday, they proved to be much more than mere British punksters from day one. The band was led by Andy Partridge, who wrote about 85 % of the original compositions and assumed lead vocals. The other songwriter was Colin Moulding. He penned the remaining tunes, sang them and played the bass quite admirably (Gilmour offered him the position of Pink Floyd bassist when he won the rights to use the Floyd’s name back in the late eighties, in fact). 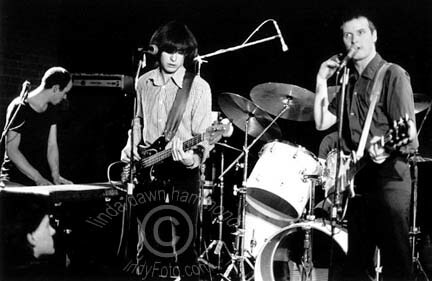 When they started, the energetic Barry Andrews played keyboards, and a no-nonsense fella called Terry Chambers played drums. 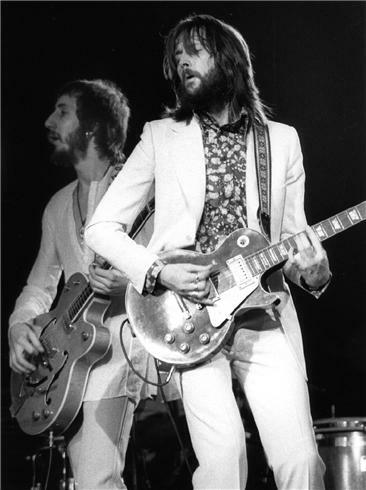 Barry soon left the band due to the edgy relationship with Andy, and he was replaced by a guitar player named Dave Gregory, who ranks as one my best-loved players ever. He is also a realized keyboards player. Now, the tricky and interesting bit. In 1982 Andy decided to stop touring due to exhaustion. From that point onwards, the band became a studio entity. Well, the band minus Terry – he was irked by the decision and moved to Australia, never to come back or see his friends (socially) until 1992. When Terry left, they started using studio drummers. Their sound became more pastoral and far more quirkier than it was before. They released several albums (including recordings as psychedelic alter egos The Dukes of Stratosphear), and in the 90’s they went on strike against Virgin Records since the label refused to release one of their songs as a single. When they were freed from the contract two more albums ensued, and Dave Gregory sadly departed from the band. After that, Colin lost interest in music and for a while he even stopped communicating with Andy. Now they seem to be on speaking terms again, but it looks like the story of XTC ended there. 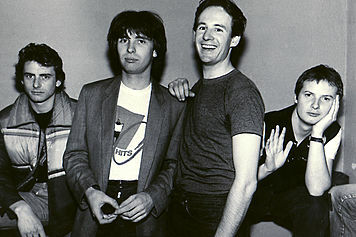 Their one and only big hit was “Senses Working Overtime” (a top ten hit in the UK in 1982), which was released just before Andy decided to stop touring. They never scored a major hit again, albeit a song named “Dear God” did very well in the College charts in 1986 and brought them some much needed attention. Biographer Chris Twomey calls them “one of the romantic stories in music”. To me, they show that swimming against the tide takes more than guts and determination – it takes ability. However, there comes a time when one has to stop swimming and get back on solid ground. I don’t know whether they took too long to do that, but (in all honesty) the world of music would have been very dull without them. Almost wrapped in grey. Although The Who is my favorite band, XTC ranks first in a different plane – they have shaped how I write lyrics in ways that I couldn’t even start enumerating. Andy is a true genius, and if you have not read his lyrics you are missing on something which is more poignant than you could ever imagine. Good stuff my good man. Love the blog btw. Thanks for the compliment, hope to see you around often!